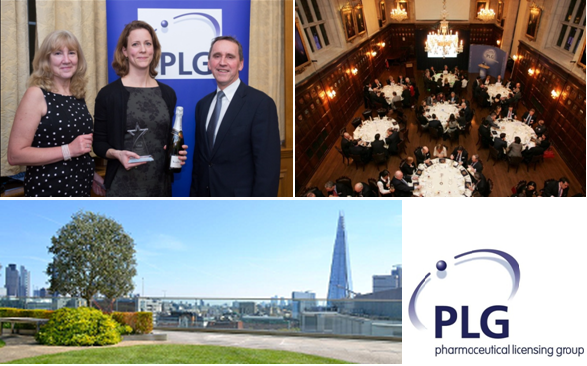 We are celebrating the 10th anniversary of the PLG Business Development & Licensing awards at our 10th Annual Awards Evening being held in London on Thursday 9th February 2017. The awards recognise the contribution from individuals across the healthcare business development community. The evening features two main categories; the AstraZeneca Business Development Executive of the Year and the PLG Business Development Newcomer of the Year. We are currently seeking nominations for both awards, details of each award and previous winners can be found in the Awards section of our website. The afternoon begins from 3pm, firstly with the opportunity to review the deals agreed in 2016, followed by an outlook for the Life Science industry post-Brexit. We are very pleased to welcome back the Deal Watch Team from Medius to review and analyse deals signed in 2016, before offering their thoughts on the deal landscape in 2017. Our second session will be presented by Dr Virginia Acha from the ABPI. Dr Acha will be presenting the findings from the UK EU Life Science Transition Programme, set-up in conjunction with the UK EU Life Sciences Steering Group, BIA and ABPI to oversee and manage a successful post-EU transition. We are sure this will prove interesting listening for all guests. The evening kicks off with a networking drinks reception where guests can enjoy views across the London skyline, before a 3-course dinner is served. We are delighted that Ian Tomlinson, Chairman of the Board at Stevenage Bioscience Catalyst (and former Senior VP, Head of Worldwide Business Development at GSK) will be joining us for an after-dinner speech. The presentation of the PLG Business Development & Licensing Awards will conclude the evening.